While surfing around on YouTube recently, I came across a Living St. Louis video on the St. Louis Velodrome, a bicycle racecourse in North St. Louis. 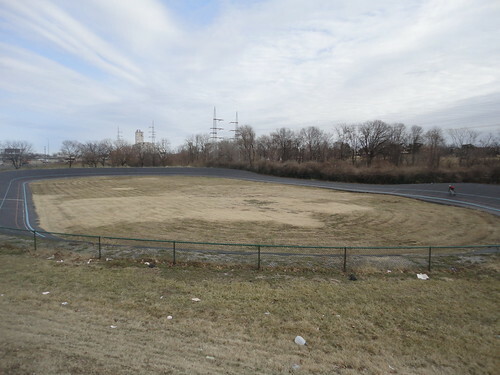 Apparently this current Velodrome is a replacement for one in Forest Park that sat in the area created by the Kingshighway Jog. After watching this video clip I had to try out the Velodrome. Although it was interesting to see, my used mountain bike and I were clearly unprepared to properly appreciate the unspectacular loop of asphalt. Instead of spending time on the Velodrome I ended up exploring the neighborhood on my bicycle. 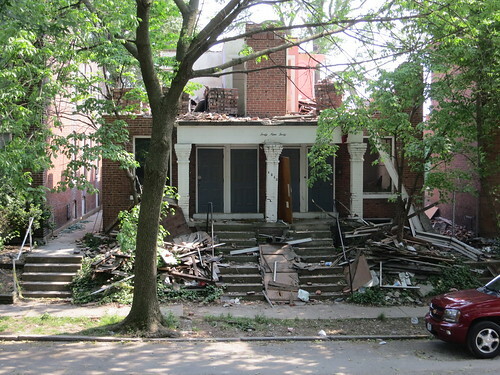 The Mark Twain neighborhood turned out to be pretty cool. 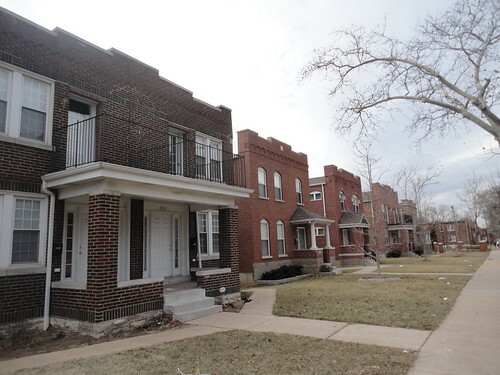 I found a couple of stretches of brand new brick houses right across the street from Bellefontaine Cemetery that were surprisingly good looking. 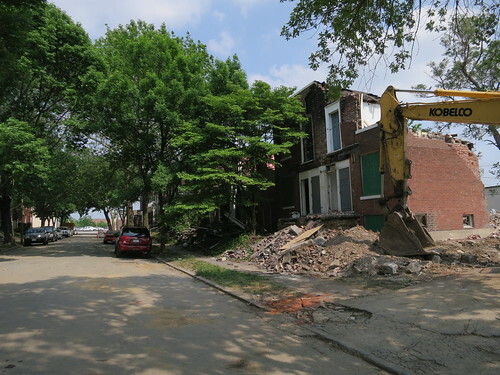 There isn’t a whole lot of new construction in North St. Louis, so I was particularly happy to see good quality infill here. Seeing this Velodrome and the living neighborhood around it was a very positive experience, reminding me how much this city has to offer, and how much of it I have yet to explore. While Driving down Highway 40 recently I was pleasantly surprised to see new signs that attempt to convince motorists to exit the freeway while driving through the City of St. Louis. Signs on 170 advise of the “Attraction Corridor” that 40, our main street, has become; and the three main exits on the corridor (Kingshighway, Grand and Broadway) advertise their respective attractions. The first exit, Kingshighway, has signage that to me is puzzling. bonwich: Terrific idea, great graphics. But why in God’s name do they have signs in both directions on 64 telling people to get to the Loop via Kingshighway??? 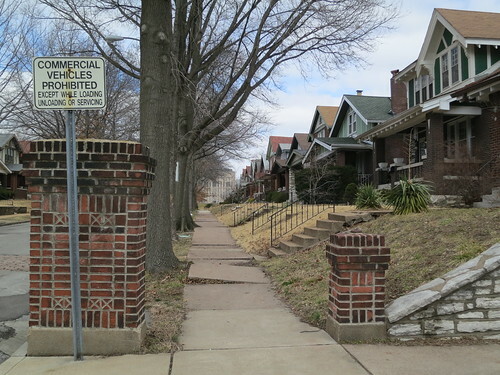 Nerfdude: because then you’ll have to explore St. Louis to find what you’re looking for, of course. Not too bad. I assume there will be signs @ Delmar and Kingshighway directing people west to the Loop eventually (there are none as of this posting). 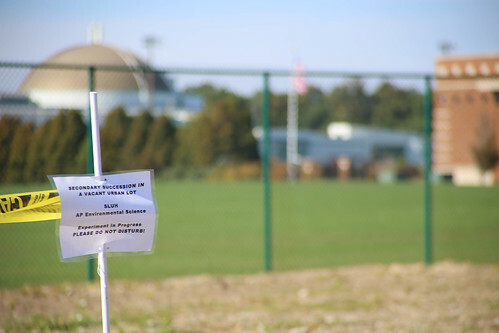 Apparently the start date for this was June 23rd and kicked off a project that will continue for the rest of the year and end up placing 300 signs throughout the city and county. I am very happy with this project but wish that there were more attractions on the signs that are already up! The Central West End is a pretty big omission from the Kingshighway sign, and Midtown Alley would have been a great addition to the Grand sign. I hope that both of these are added as time goes on. Keep an eye out for more of these helpful signs. Skateboarding is an Urban sport. 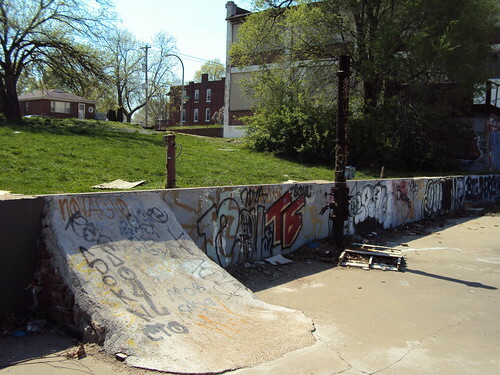 In St. Louis, Do-It-Yourself skateparks have been some of the most positive urban developments in recent years. With locations around the city, some more visible than others, from Gratiot and Spring (recently replaced by School Bus Parking) to Delmar and Cardinal, these skate parks are positive contributions to their respective neighborhoods and to our city as a whole. In visiting these sites (usually at random and completely by accident), I have encountered enthusiastic people about whom I have nothing but good things to say. Unfortunately, the organizations that build these skate parks are the least likely to receive public support or assistance. Recently, Steve Patterson chose the idea of a skate park as his ideal addition to the gateway mall. I agree with this and believe that our city can sustain as many skate parks as the city or skaters can build. Influences ranging from Tony Hawk to Lupe Fiasco have popularized skateboarding so much over the past decade, that its draw is something cities should not refrain from taking advantage of. Mayor Slay seems to have some understanding of this, as he recognized Ramp Riders (in the old bottling works of the Falstaff Brewery) for their contributions to the city. I think that the DIY skateparks deserve the same recognition. 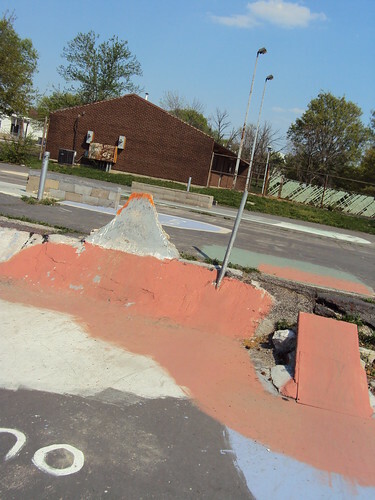 Here are some photos of a few local Do-It-Yourself skateparks (and here is the Facebook page of St. Louis DIY Skateparks). Thanks to those who have devoted their time and energy to these projects! I hope to continue seeing constructive reuse of otherwise wasted space!